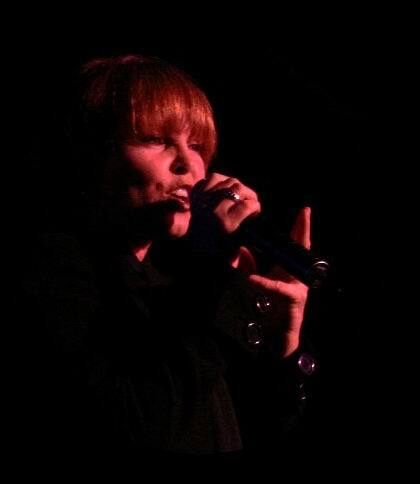 Every Pat Benatar concert is an extraordinary happening. But the performance of March 23, 2007 at B.B.King's Blues Club in New York City exceeded all expectations. That night we were breathing a definitely international air. Besides the numerous and affectionate American fans, representatives of several european countries were present, England (Tracy),The Netherlands (Tim), Italy (Daniela and I), and also fans from Dominican Republic (Miguel). Above all the evening was a chance to meet again old friends and to know new people. The spontaneity that characterizes the Pat's fans is without equal and the intimacy that often happens is magic. Pat and Neil, in front of a so enthusiastic audience, at the B.B.King overflowing with fans, sent forth all their energy, opening the concert with a vigorous “All fired up”. The following is the song's list impeccably played by the band (Mick Mahan - Bass, Chris Ralles - Drums, Neil Giraldo- Guitar) and performed by a Pat in perfect form. The top of the night was the acoustic version of “We live for love” that, with the acoustic version of “Love is a battlefield” played three years ago, is lately one of the best musical masterpieces of the couple. To the surprise of everybody and by request of the fans, Neil invited Pat to sing just a “taste” of “My clone sleeps alone” really appreciated by the audience. The concert ended up with “Promises in the dark” and “Love is a battlefield” in front of a crowd in a frenzy. I'd like to thank Harold Bottomley (you simply are great), Paula, Robin, the manager John Malta (that twice tolerated me! ),Pat and Neil (you are an extraordinary couple), Chris and Mick (for your kindness and for the drink!) and all the friends I met (Mike and Natalie Jones, Danielle Severino and the others).